„ISO International Standards ensure that products and services are safe, reliable and with adequate quality. They are strategic tools that reduce costs by minimizing waste, errors and increase productivity. They help companies to enter into the new markets, ensuring the same conditions for developing countries and facilitate open and equitable global trading“. This is very interesting, but what does it specifically mean for us? Let us start by saying that not every company can achieve a certification process which requires a certain level of commitment and quality management which challenge even the best performing companies. Once the ISO status is assigned to the company, it is the responsibility of the successful companies to maintain their standards. Therefore also you can trust MARPOS. This all comes down to the ISO certification, as it gives you the confidence that MARPOS takes its intentions seriously and treats your projects with the respect they deserve. MARPOS has implemented a quality management system and environmental controls (EQMS) with certifications ISO 14001 and ISO 9001. With EQMS we are committed to meet or exceed the requirements that are defined by customers, together with the requirements that are demanded in our industry. We give clear and realistic goals enabling us to gradually improve our operations and, thanks to customer feedback, we are able to assess the degree of effectiveness of the EQMS. We explain our politics in this area to employees, key customers and our suppliers. 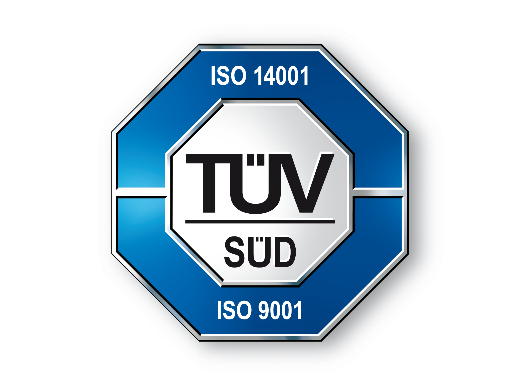 Audits in our country are carried out and the certificates are awarded by TÜV SÜD Czech.